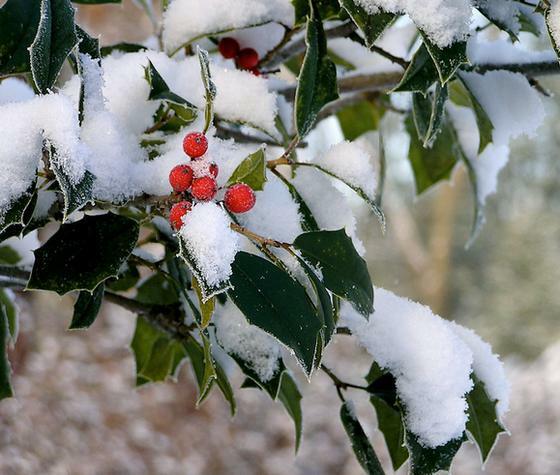 With Christmas upon us, the telegraph takes a look at the evergreen holly plant (Ilex). European Holly has simple spine toothed glossy leave and carry usually carry bright red to brown/black berries (actually drupes; indehiscent fruits). The berries contain a toxic compound known as theobromine, and birds can only eat them after frosts have broken down by repeated frosts. The article itself describes the use of a holly as a traditional roadside hedging plant, and the joy of collecting berry bearing sprigs for decorational purposes. It then goes on to describe the folklore associated with the plant, including the fact that holly should be left uncut to prevent witches running along the top, and dressing a boy in Holly and a female in Ivy (Hedera) to help nature return to fertility after a dark winter. It then goes on to describe propagation of holly cuttings, and ideal growth conditions. Before touching on common varieties and interviewing the curators of the national council for the conservation of plants & gardens collection of 222 different ecotypes. Also on a Christmas theme, the News messenger takes a look at Christmas tree maintenance within its reflection that December is a quiet time in the garden (well, in the Northern hemisphere at least). It recommends to take a visit to local nurseries, garden centres, and greenhouses as they will carry a large selection of indoor plants at this time of the year. It also recommends to go for a walk in the countryside and to take a look at trees and shrubs that may look good as part of your own landscaped garden. The article then goes on to describe how to maintain Christmas trees. They recommend to select a local freshly cut tree, cut at least an inch off the trunk and keep it in water outdoors until ready to be brought indoors for decoration. It then describes a few basic tips such as using a sturdy stand that contains water; locating away from fireplaces and afternoon sun, and describing the best time to remove the tree (when needles fall in large amounts). They next describe care of the popular seasonal plant Poinsettia (Euphorbia pulcherrima), which is a member of the spurge family. 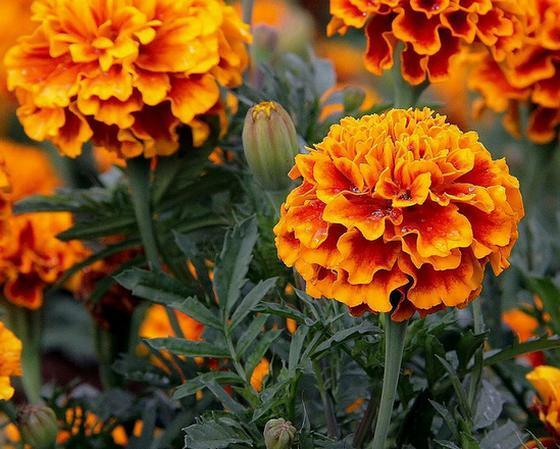 Away from the joys of the season, the Fayobserver looks at the delight of growing marigolds (French marigold: Tagates patula; African Marigold: Tagetes erecta). The article is a response to a readers gardening question who wanted advice on which of the multitude of marigold varieties they should grow in their garden for low maintenance summer blooming. Tagetes erecta by Mauricio Mercadante. The feature then describes the main uses of marigolds (bringing colour to the garden; long blooming period; use in beds and as a companion plant for tomatoes; nice fragrances; low costs; and ease of maintenance. 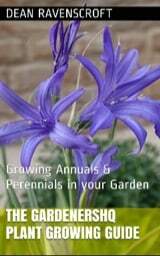 They recommend them as a great plant for beginners, and then discusses if more experienced gardeners should grow them, or concentrate on more exotic/trickier plants such as Azaleas, Camellia, and daylilies (Hemerocallis Spp.). Next, they discuss the ease of growing marigolds from seed, and the original question of great marigold varieties to grow in your garden. The Spokesman review carries an interesting article on using pine needles to protect plants from the snow. This is part of a more general article of tips for this time of year such as disconnecting hoses, mulching perennials, shrubs, and tea roses; and covering canopies with plastic sheets, using plant friendly potassium and magnesium chloride to clear snow and ice, and to place bamboo poles close to trees (for use in clearing heavy snow off branches). As for the pine needles, they recommend that roses should be cut back to about 2 feet (60 cm) and surrounded with a mulch of shredded pine. The Michigan State University Extension discusses the power of gardening in the face of nutritional need and crime. It describes the best way of teaching gardening is to take a hands on approach that allows people to learn by doing. It also suggests that gardening can be used inter-disciplinary to teach other skills, such as design and the use of excel to calculate the amount of vegetables or flowers that can be grown in a bed. It also cites research that shows that children who garden are more likely to eat different foods, especially ones that are new to them; it quotes a student who says how much they used to admire their uncle who would eat carrots straight from the ground. Staying on the subject of children, the Rapid city Journal takes a look at the magic of a garden through a child's eyes. It describes how the joys of discovering new creatures in the garden led to the young learners book Tatty, the Lonely Monarch. I recommend reading this page of GardenersHQ If you would like to attract butterflies to your garden. The Columbian addresses the question of the impact of Conifers, and especially the affect that the root system of the dawn redwood (Metasequoia) has on nearby properties. They answer their agreement that conifers and large shrubs should also not be grown close to homes due to their associated fire risk. They next move on to the subject of growing spinach, but sadly tell their reader that spinach should be started towards the end of summer or early autumn/fall as it is a winter vegetable. It then mentions another piece on overwintering spinach, describes common varieties, and gives advice on growing conditions. The last article that we look at in this edition of 'Garden news' is from the Augusta Chronicle, which has a guide on bulletproof plants for the novice gardener.It recommends that novices start small and to scour seed catalogues that are catergorized as easy to grow. It recommends growing low maintenance plants such as the shrubs hydrangea (Paniculata); perennials such as coneflowers, Hosta, and Rudbeckia; bulbs such as day- and canna lilies; and annual species including Begonia, and Pansy (Viola tricolor subsp. hortensis). They then recommend easy to grow vegetables including Spinach, Brussels sprouts, garlic, and pepper. And finish off by mentioning drought tolerant indoor plants, including Aspidistra, Cissus, and Hoya.